A Finish! Below is my Easy Street with Borders. 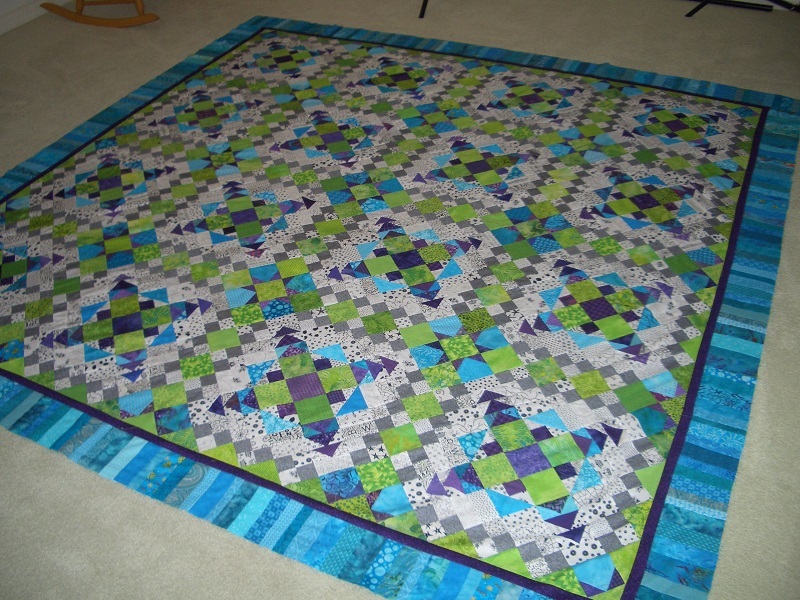 The picture is not so great, as this is a big quilt 95x95 and I do not have a wall big enough to display! So the numbers are looking a little better! 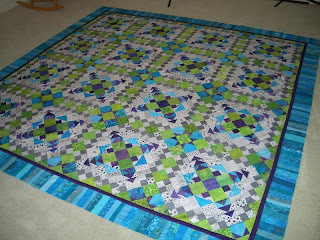 Check out all the other stash reports at Patchwork Times. Used this week: 26 yards. Net used in 2013: 52.75 yards. I think it's a great picture! I LOVE your string border.